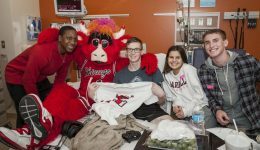 Home / Articles tagged with "Chicago Bulls"
Articles for Tag: "Chicago Bulls"
The patients at Advocate Children’s Hospital got a big surprise with a visit from members of their favorite basketball team. The patients at Advocate Children’s Hospital got a big surprise when the Chicago Bulls player and mascot visited. Learn how to treat this nagging injury, which can impact pros and amateurs alike. 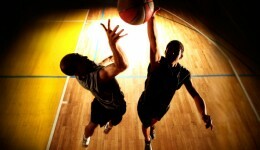 Here’s what you need to know about this painful injury. 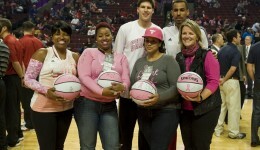 Take a look at how Advocate Health Care and the Chicago Bulls partnered for a special night. Tags: sports medicine, elgin, Advocate Sherman Hospital, Chicago Bulls, orthopedic surgeon, Ill.
An expert surgeon explains Jimmy Butler’s recent injury. The Bulls very own Taj Gibson and Benny the Bull made a special visit to see patients at Advocate Children’s Hospital in Oak Lawn.